Weeknights: 10 Double headers in River Valley League are paid for, ½ are home games. Average of 1-2 double headers per week. Weekends: 4 tournaments (2 STATE Tournaments, ASA & USSSA) & 2 other Tournaments of the teams choosing. The team coaches, parents & players decide which tournaments to go to, other than the 2 State summer tourneys. Choices are usually based on when most players can be available. Teams can play as few as 4 to as many as the team wants, but 4 are paid with the Traveling Fee. Any extra tournaments played cost about $130-$140.00 dollars per team or about $10-$14 per player per tourney. 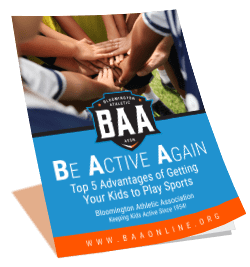 The teams can also participate in a “BAA team fundraisers” with proceeds being used either for equipment, entry fees to additional tournaments, or possibly jackets or sweatshirts or bags for the team. The entire team discusses this opportunity. WHEN: Practices start in late April/ early May. Season starts in June and goes thru July. If individual teams choose to do so, they can continue on into late August or early September. WHERE: Weeknights we play in Bloomington, Richfield, Burnsville, Golden Valley, Minnetonka, and Glen Lake. The average commute time or drive time of the drive for tourneys in the north Metro is 45 min. 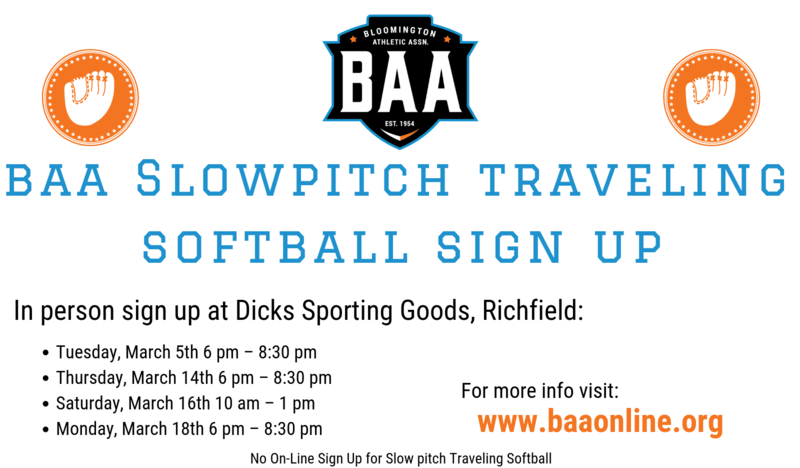 WHY: The girls who choose Traveling Slow Pitch are looking for more playing time/tournament play and are committed to the opportunity to develop their skills at a higher level of competition.